New Shape5 Website and More for 2014! Save Big With Our Summer Savings Sale! We are celebrating the summer season with an incredible offer to our members. From now until the end of July 13, 2014 save 10% off of our Basic membership package, 20% off of the Best Value membership package, and 30% off of the Developer membership package. This is one of our largest sales, so please don't let this pass you by. This sale is now expired. Thank you to everyone who signed up! Our popular S5 Register module has been updated to version 3.1.0. This version release updates the submission method of the module due to a conflict between our built in captcha and the Joomla reCaptcha plugin, if both were enabled on the same site. They now both work hand in hand with no conflicts. 1. Mobile devices can now pick from one of two layout options. 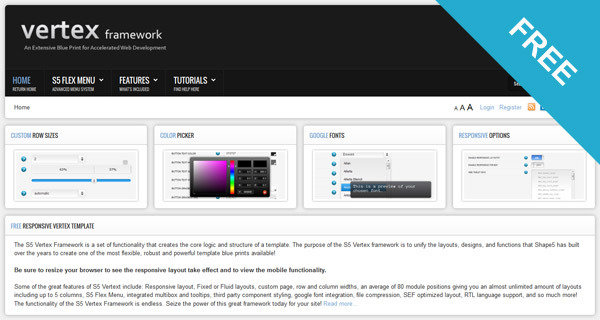 The first option is the drop down method that we have used with responsive Vertex templates for a while now. The second option is new, and combine the search, login, register, menu and two module positions into a mobile sidebar. Both options come loaded with customization features. 2. Due to popular request we have also added a feature that allows you to turn off the login or register icons on mobile devices, but leave them enabled for desktop users. 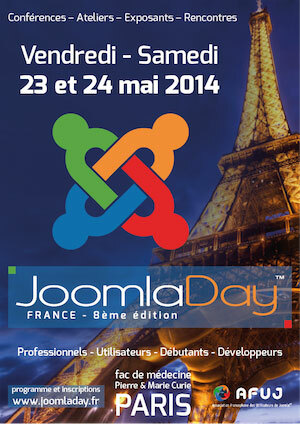 Joomla 3.3.0 stable was released yesterday. We have tested several of our Vertex templates, and as we predicted earlier this month, we have not run into any issues. 1. Make sure you are running Vertex 3.5. You can check this from the About tab in Vertex. 2. Make sure your server is running at least php 5.3.10, as this is a new security requirement of Joomla. Our members can rest assured that our server is not and has never been affected by the popular heart bleed vulnerability. The Heart Beat extension for OpenSSL has never been enabled or installed on our server due to the version of OpenSSL that our server runs. Joomla 3.3 will be released next month with some exciting new features and Joomla is claiming it will be the most stable Joomla platform ever! As beta releases become available we will test Joomla 3.3 on our products as we have done with previous editions of Joomla. As of now we see no issues that will affect our products. Many of the new features will include security fixes, backend updates, cloud storage API's and much more. You can read more about the update from here. One of the biggest changes in 3.3 is the conversion of mootools to jquery. We want to ensure our customers that you have absolutely nothing to worry about here with our products. 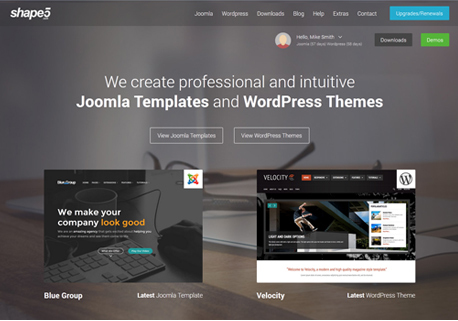 We predicted this changeover when Joomla 3.0 was first introduced with jquery, and we converted all of our mootools scripts over to jquery at that time rather than waiting until now. All of our Joomla 3 products have always been running jquery and do not include mootools at all. We have recently evaluated our current pricing structure of memberships and we have decided to make some minor changes that will come into effect on May 1st, 2014. Our goal is and has always been to provide the best website products possible at a valuable price to our members. We have done extensive research by examining the price structure of many competitors and we feel that our prices will still remain very competitive and remain the best value for your money! 1. Our $49.99 membership will remain unchanged. This membership is a great value for anyone looking for just one product. 2. Our $79.99 membership will continue to allow for 3 domains and will increase by only $10 to a new total of $89.99. 1. Jquery updates have been made to fix an update in Joomla 3.2.3 with a newer version of jquery. 2. Jquery-ui-addons.js file was added to included additional classes that are not included in the Joomla core jquery files. 3. Major updates were done to the compression files to fix issues found on some server configurations. 4. An error was found in the background css call that was implemented in Vertex 3.4. 5. The mobile icons have been updated to fix an anti-alias issue. 6. Multibox.js was updated to fix an issue with multiple iframes on the same page. 7. Thirdparty.css was updated to force K2 articles to a single column on mobile. 8. Parallax backgrounds was updated to allow for centered background calls. 9. A fix has been applied to the menu scroll to fix, any flex menu link that starts with #s5 will scroll to that div on the page. 10. The backgrounds tab now allows for full urls as well urls in just the “images” folder. 11. A new css info slide feature was added along with several info slide styles. 12. The scroll to top arrow now auto hides when it is not needed on the page, triggered by the scroll height on the page. 13. A fix has been applied so that module titles now show in the flex menu system. 14. The flex menu now works with the default Joomla menu class parameter. The class will be applied to the parent items’ LI call. 15. Modules.php is now part of the framework and not set individually on every template. 16. An update was made to the floating menu script that was causing problems if the files were uploaded in ftp binary mode. Also, we are very excited to announce that we have begun work on a new Vertex 4 platform! This new version will be a complete overhaul of the backend of Vertex, which will give you a much more visual experience of your website and its layout. The goal is to consolidate the many great features of Vertex into a more isolated area by giving you a graphical representation of your website. This will also include a brand new styling to the admin as well as a feature that will hide parameters that are not needed to keep everything organized better for you. Keep posted for updates on this in the months to come. We at Shape5 are very excited about this next step for Vertex! We'll keep this simple, just state what you like best about Shape5 or one of our products in the comments section below or on our Facebook wall, and we'll pick the winners shortly. Thank you!